Solid relationships are critical to any type of business, especially those relationships between employees and the company. Employers around the world are looking for more efficient ways to bring in employees and build solid relationships. Relationship building all begins with the company. The first step into building a relationship should start with the company itself. The company should understand what type of relationship they are wanting to build and how to maintain that relationship. Does it require external resources or services in order to build the relationship? The relationship should be aligned with the company’s culture and values. All good relationships start with honesty and integrity. As companies recruit talent, they should already be looking for qualities within individuals that stand out and align with their business model. New employees want to feel welcome when coming into a new position with a new company. It is up to the company to make the first initial impression; one that the employee will remember. It may be imperative to create some type of new hire process which allows new employees to feel engaged and welcome. As you know, coming into a new environment and or a new role isn’t always the easiest transition. With the new-hire process, new employees are introduced to the company, given an opportunity to meet their peers, and, in turn, they can understand the culture of the business. This is the perfect time for the company to make an outstanding impression which will ultimately create the long-lasting relationship they desire. 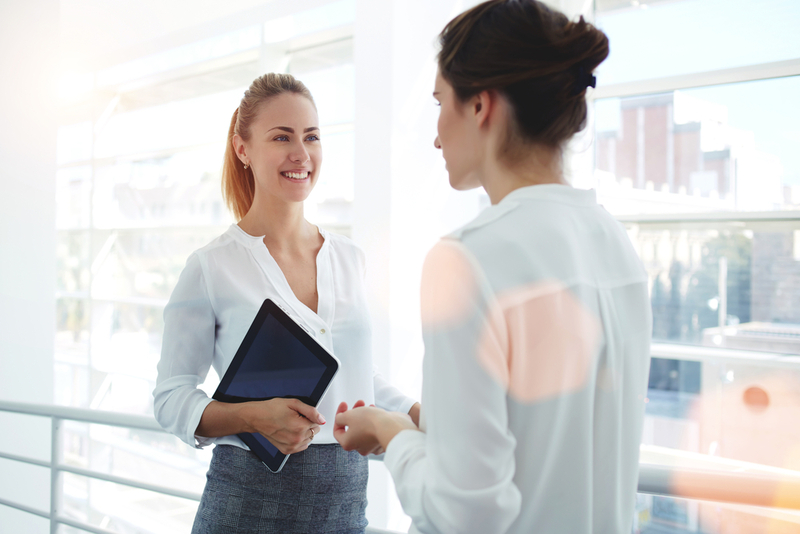 Not only does the process give new employees the opportunity to meet and engage with existing employees, it also allows them to engage with other new hires. When there are others who are new as well, chances are you’ll receive positive feedback from new hires on their experience. Like new employees, existing employees are important and you would like for them to set a good example for the new employees. If an employee feels respect from upper management in a company, chances are they are going to strive to align themselves with the company’s vision and mission which may be to build and keep relationships. Awards and incentives for existing employees can create a strong bond between employee and company. Employees are inclined to work hard if there is an end reward. Companies can create a winning mindset by putting into place recognition awards for employees who perform at a high level. For example, if an employee is in a sales role and they meet or exceed their sales goal for the quarter, they could be rewarded by the company with a trophy or plaque. They are more inclined to continue pushing toward a higher goal for the success of the company. A strong team can withstand just about anything that comes its way. If all employees are on the same page working toward one common goal then the odds are in favor of the company doing well. Strategic team building activities such as team lunches, workshops, off-site activities like bowling, obstacle courses, golfing and more can create a solid team comradery. Teamwork starts from within, all employees must be willing to work together for one common goal. Having fun activities and events help build relationships as individuals are forced to work with one another instead of against one another. As these team building events are important, so is recognition. Having a teamwork award in place can boost morale among all players and work in the company’s favor in their effort to build lasting relationships among their employees. Recognition is one way for a company to recognize their employees’ hard work and effort. Without the recognition, a company will have a hard time maintaining the relationship. Employees want to feel like their hard work doesn’t go unnoticed. They want to feel as if the company is behind them and recognizes the time and effort they have made to assist in the common goal. Seasoned employees who are on the brink of retirement should be recognized for their time, effort and dedication to serving the company. Whether it’s in the form of a formal or informal awards ceremony, the recognition needs to take place. This is the most critical piece to maintaining a relationship with an employee. Don’t Let Career Dreams Be Limited!